This luxury detached bungalow is in a quiet location within walking distance from the beach (ten minutes). When you arrive at your destination, you will never want to leave again. The bungalow has an efficient layout and is equipped with all modern conveniences. The living room with an open fireplace offers a homely feel. It also offers plenty of space to be together with your companions. There is a beautifully landscaped garden with a sheltered patio, where you can enjoy a snack and drink. While the children play on the swings or in the garden, you can read a good book from a lazy chair. 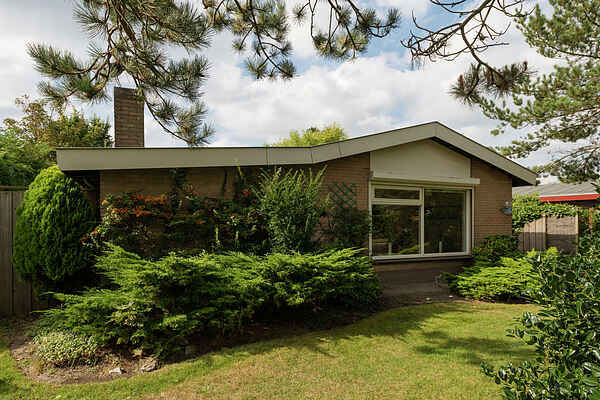 This luxury, detached bungalow is in a quiet neighbourhood on the outskirts of North Holland's Julianadorp. You can walk to the beach (ten minutes). It is worthwhile exploring the area from your home. Many hiking and cycling trails have been signposted, so you can enjoy the Provençal style landscapes.